In 2018, our Gleaning Network collected and distributed 16,188,683 pounds of fresh produce. 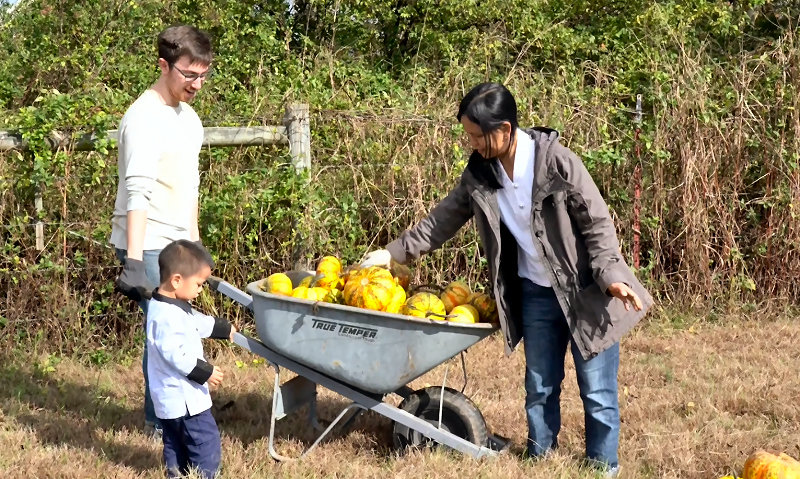 Our 30,684 dedicated volunteers gleaned nutritious produce from farmers’ fields and orchards after the harvest. Truckloads of surplus produce, donated by the agricultural community, are delivered to agencies serving the poor. Every year, youth groups and people of all ages take part in our work/study mission trip programs in many states, learning about hunger and poverty, gleaning in fields, and working in food pantries and soup kitchens. SoSA partners with faith groups, secular groups, schools, and individuals, that we might all serve together by feeding the hungry out of the abundance that we are provided. SoSA has gleaned and distributed 4,863,719 pounds of fresh produce in 696 events, with 4,255 volunteers. Food donated by 181 farmers has been distributed to hungry people through 620 feeding agencies. Volunteering with the Society of St. Andrew for the past 8 years has been wonderful. It is amazing to see the difference being made by this organization. They are starting in our local communities and changing the world! –Ashley J.